Advance well wishes for Delta turning 5 months old. Loved looking at those photos of her and big brother Ronny. He's all calm and serene in the photos, while she's like 'are you sure you've got my good side?'. They've both got happy similes on their faces too. I feel so bad for not uploading pictures as often as I should..as some of you may know I suffer from major depression and anxiety, and I haven't been feeling that great lately - I ODed, and got kicked out of my school. However, things are slowly getting better..and if all goes well I hope to go to Unitc next year, and gain a Certificate in Animal Care in a years time. When Delta turns 31 weeks old, I'll be turning 16...just lucky that my birthday is on a Saturday this year! 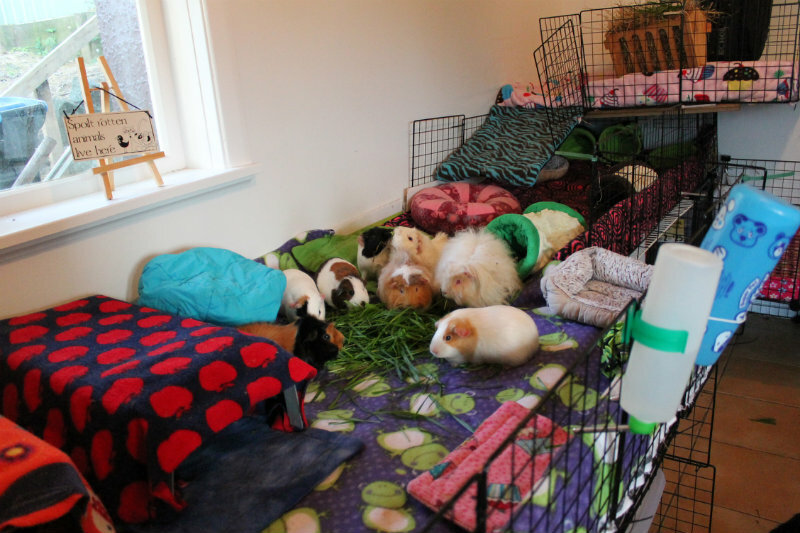 And a picture of my herd celebrating a fully cleaned cage! 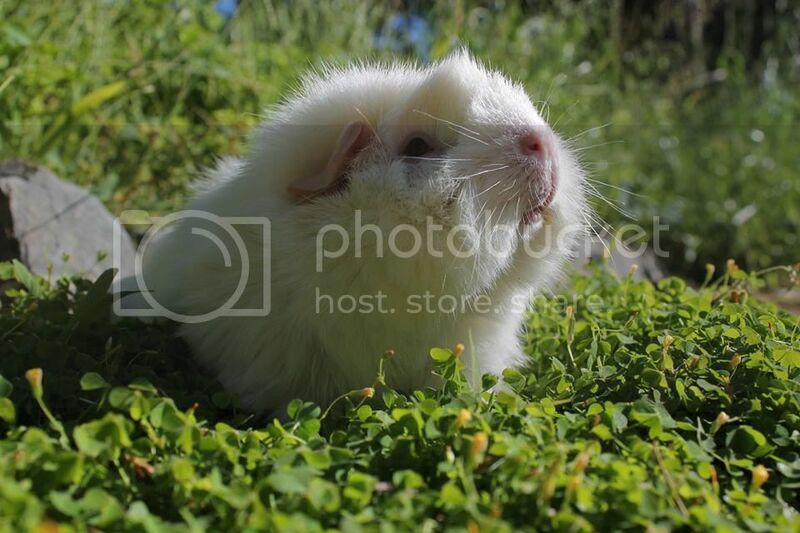 Your piggies are so adorable. What a great pic of your crew! 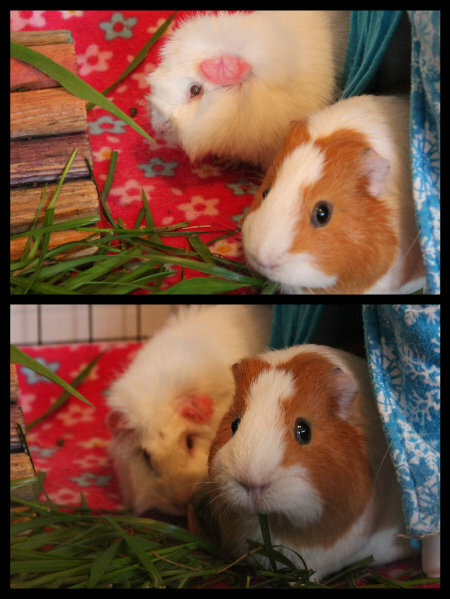 They all look so happy nibbling on hay? grass? 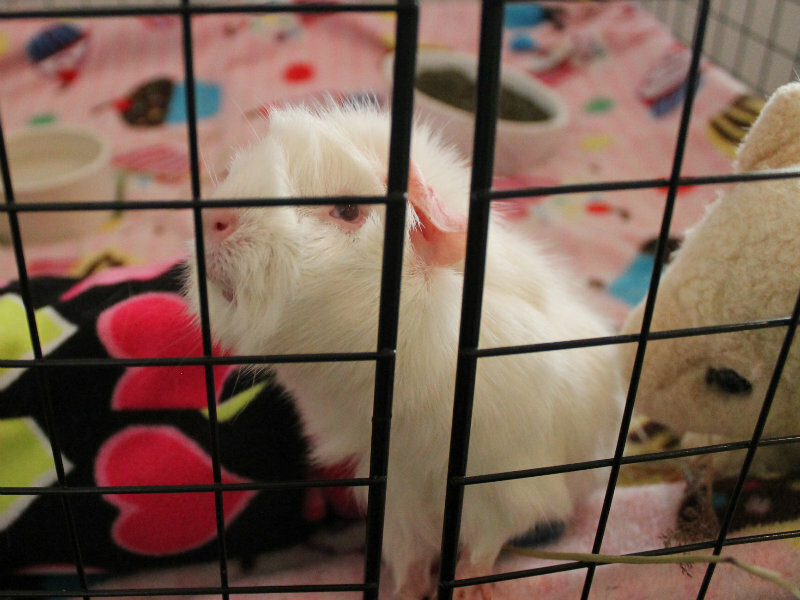 What a great cage and a giant mass of piggies! They are all so beautiful. I hope you feel better soon. Another picture, this time with their names on it. 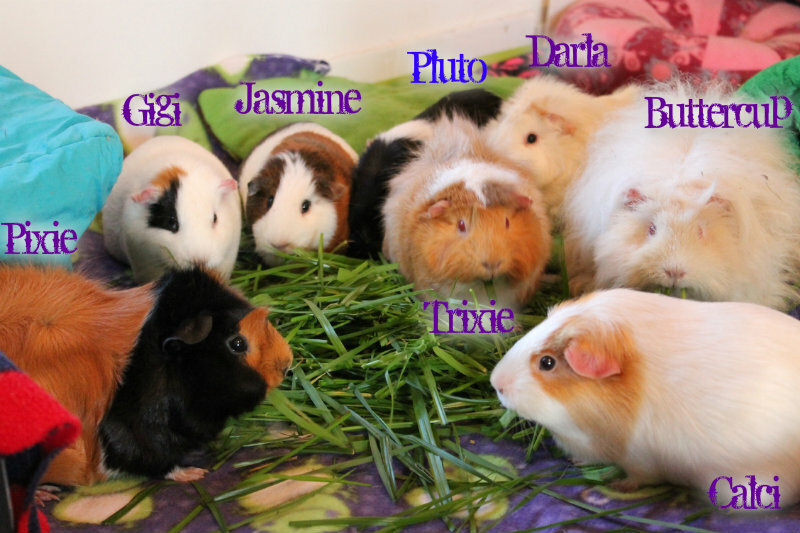 I didn't plan to pick piggies of specific colours but it seems like all my guineas (Ron & Delta included) have either Ginger and/or White on them. Trixie was the first in the herd, so maybe it has something to do with her! Darla is Delta's mum...she's gained so much confidence from living in a herd, she's often out in the open, and when she's feeling extra confident she comes up to the front of the cage to ask for veggies. It is sad not having mother & daughter together but I do think it was for the best, and Ron is such an amazing "brother" to Delta...even though he has gotten a wee bit chubby since living with her! 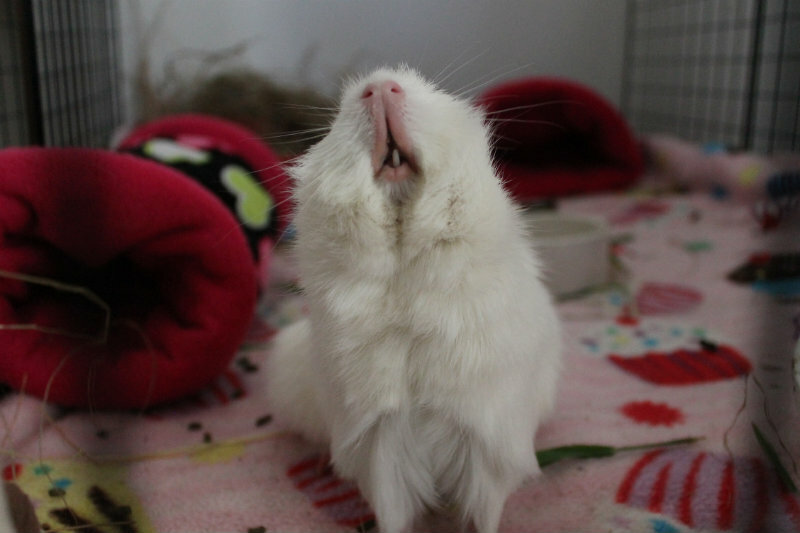 (All my piggies are neutered and spayed apart from Delta). 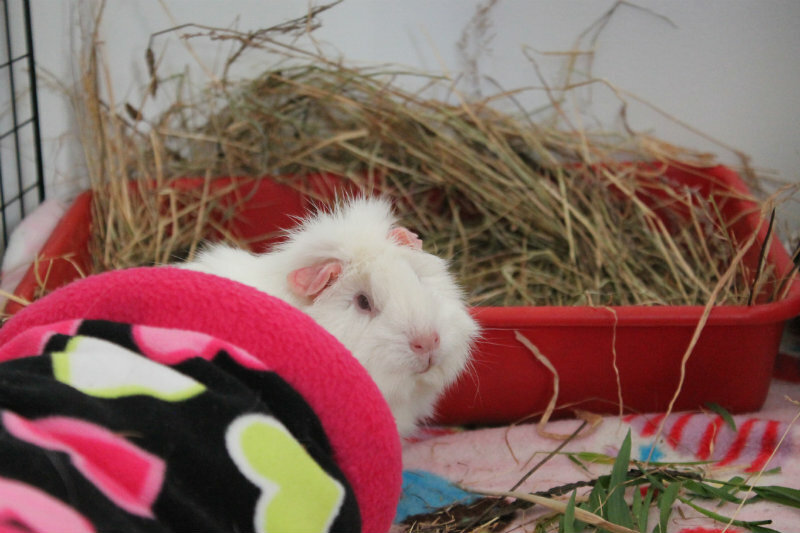 I just adore Delta's new tunnel & snuggle sack that a lady who adopted a trio made - aren't they adorable!? Although, not as adorable as little Delta who is doing very well! I adore Delta, she is just to cute! Always glad to see photos of Delta. She's looking well. Wow, what a nice herd! Delta when she turned 8 months old on the 22nd of November. She is going very well, is very stuck to her routine..which means she'll stick her nose up to specific foods if it's not usually the time of day she has them..I wish I knew how she can tell the time, cheeky girl! Oh my, what lovely photo of Delta. Glad to hear she's doing well and will soon be a year old.